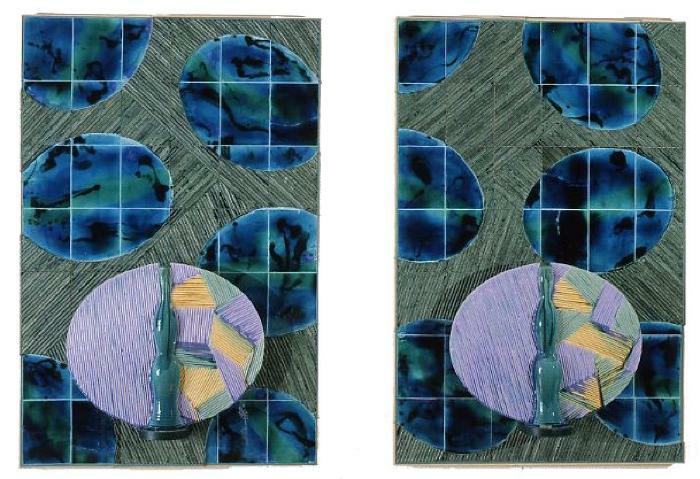 Two vertical rectangular wall hangings. Tiles and oviod motifs. Each panel with a shelf and standing disc vase.